For centuries, the port of Aden has served as Yemen’s gateway to the the world. Its distinctive double harbour lies in the crater of an extinct volcano. 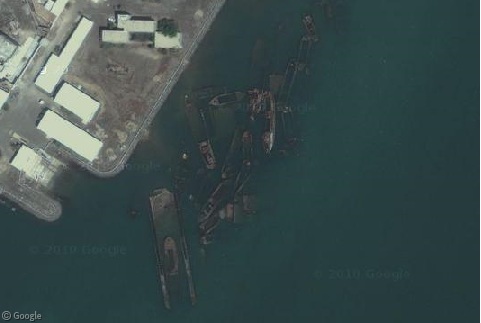 Over the years, a large number of wrecked ships have accumulated in Aden’s harbour, many of which are visible in Google Maps imagery. 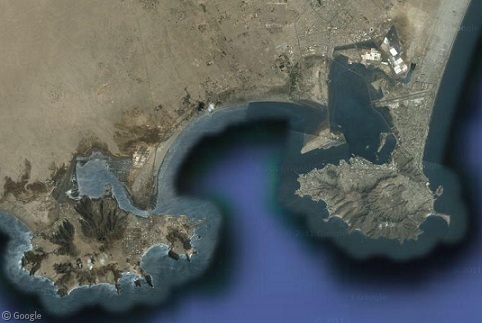 The western half of the harbour, Little Aden, is home to major oil refineries, with the free trade zone of Aden proper occupying the land around the eastern harbour. 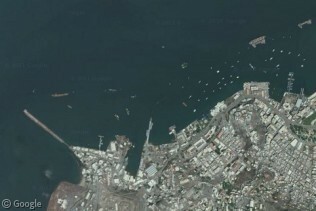 From above, the western entrance to the harbour appears to be teeming with dozens and boats, both small and large, moving in and out of the harbour. 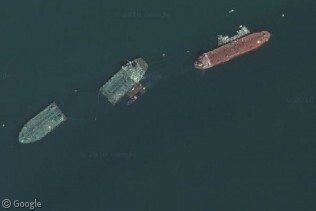 Zoom in closer, though, and you’ll notice that a large number of these ships aren’t exactly moving. Or upright. Or above water for that matter. The shallow waters of Aden have claimed many ships, some of which have been put to use to ensure other vessel don’t meet the same fate. 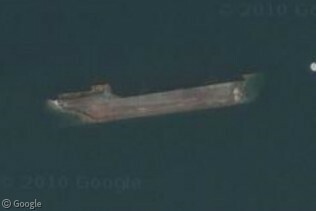 In the middle of the strait, this large tanker has been split in half to be used as a channel marker, helping boats stay to the middle of the channel (note the anchor buoys tied to the boats). Across the strait at the port of Tawahi, smaller boats are used to denote the other side of the channel. Off the shore of the city’s centre lies Ummul Island, whose surrounding waters host most of the wreckage. Some wrecked hulls lie alone on their side. Others accumulate next to each other on the shoal surrounding the island. The largest collection of ship carcasses at Ummul Island lies off the southern tip. Here, dozens of desiccated desecrated hulls lie tangled in a graveyard of marine carnage. Off the rocky shore of Ummul Island, we see two more boats grounded on the one part of the shore with no buildings or docks. 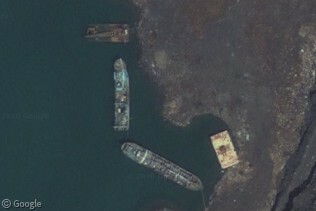 Perhaps the captains of these boats should have been using Yemen Mobile to navigate! 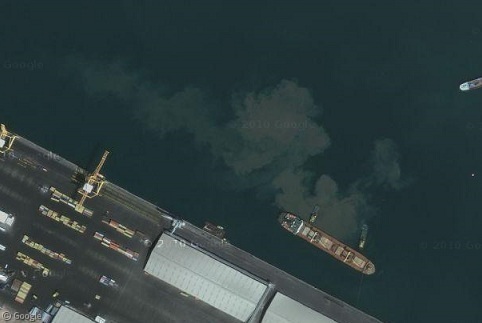 Finally, this ship has been recorded leaking a fair amount of petroleum into the bay – could it have become the latest victim of the treacherous waters of Aden? Desiccated is an odd word to use for a sunken ship. 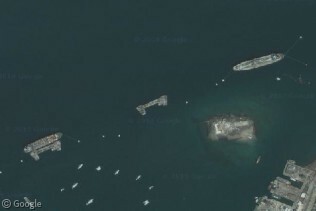 The port of Aden is one of the world ports and is credited to a British majority had created, but after the establishment of the Yemeni unity ignores this port deliberately by Ali Abdullah Saleh to make the city of Aden, a village, was dumping Floating Dock to restore the ship intentionally.